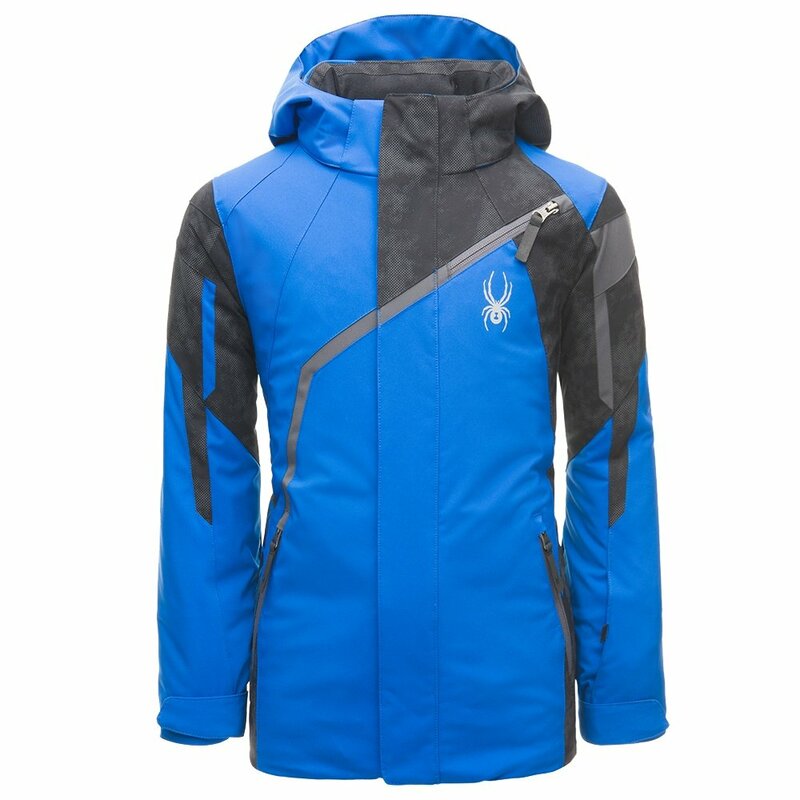 For kids that don’t let little details like “cold” or “tons of deep snow” keep them off the hill, Spyder created the Challenger Insulated Ski Jacket. It has the protection he’ll need for all-day ski sessions with his buddies, like a 10K waterproofing rating and 140g of insulation. And since it uses HydroWEB™ technology it’s breathable, which is great when he takes another run instead of taking a break. Because Spyder knows nothing is harder than pulling kids off the slopes, the Spyder Challenger Insulated Ski Jacket has enough internal and external pockets to store everything he’ll need for the day. "How does this jacket run? I have a slender 7 year old and I am not sure if I should go with the 8 or the 10." "Thank you for your inquiry. Unfortunately, we cannot provide you with sizing related answers based on your height, weight and age. To ensure an accurate size, we need you to provide us with your correct measurements. "